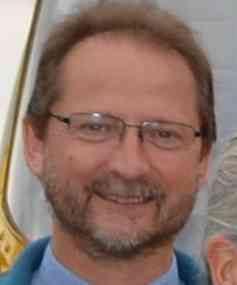 Rector: Revd David Commander is the Rector of the Benefice of Benenden and Sandhurst. He originally trained and worked as a Chartered Mechanical Engineer for 28 years. He served his curacy at St James's, Tunbridge Wells, before moving to Benenden in October 2013. He and his wife, Helen, have two grown up daughters and a grandson. David Harmsworth retired in 2005 from a career as a Classics teacher and Director of Studies. He and his family have been worshipping at St George’s since 1975; as well as taking part in leading worship and preaching, he keeps the records for the churchyard. 01580240683 or daharmsworth@hotmail.com. Ian Malaugh worked for the Police Service until his retirement in 2016. He moved to the Village in 2014 with his wife and daughter. He and his family are involved in many village activities including the Benenden Players. Ian is a passionate football supporter of his beloved team Sunderland. Julia Collard was born in Iden Green and moved up to Benenden just before she started at the Primary School. Since then she has always lived locally and has recently returned to the village. She and David have seven grandchildren, half of whom live locally with two attending the Primary School at present. She has a secretarial background and has only ever worked for one firm, retiring at age 60. Her main hobbies are history and gardening. Julia is also our Church Archivist and she welcomes queries about the history of the church and its former members. Her email address is julia.collard@btinternet.com or phone 01580 241944. Tracy Claridge grew up in Nth London and Essex; moved to Benenden in 1999 via Australia! 2 daughters - both at TWGGS, 2 stepsons and 2 stepdaughters. Sales & Marketing Director of a Bordeaux wine producer. Has sat on various Benenden committees over the years. Currently Chairman of the Village Fete committee, PCC rep for the Village magazine, volunteer worker for Catching Lives homeless Charity in Canterbury. Hobbies are wine and sport. Always happy to help if I can; my door is always open. Charlotte O'Neill began her career in church music as a Choral Scholar while at the University of Durham. She studied singing with Ruth Allsebrook and Lyndon Van der Pump in London and Djoke Winkler-Prins in Rotterdam, performing in Europe and the UK.